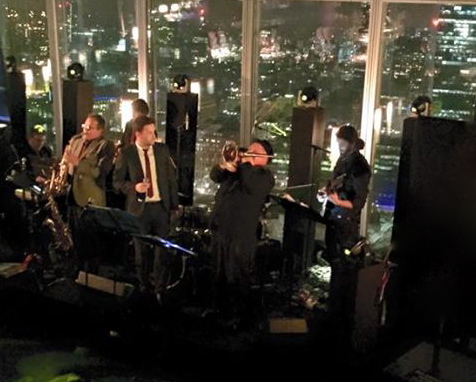 We have been experts in London Jazz Band hire for 25 years. In this time we have supplied some amazing music from fabulously talented musicians to help create some stunning parties for some incredible clients. In this time we have played at most of the top venues in the London area. All the top high end London hotels, Wimbledon, Ronnie Scott’s, Big Thames River Cruisers, Harrods, The Gherkin, The Mall Galleries during the closing of the 2012 Olympics. The list goes on and on. Whatever the style of jazz, the Swamp Dogs have it covered. Funky, Soulful, Bluesy, 1920’s Prohibition/Speakeasy/Great Gatsby style, Swing Band and Straight ahead!! Our secrets are flexibility and insider musical knowledge. The band we supply will be totally capable of playing the jazz style you want for your individual event. We are musicians ourselves, and we know all the how’s, why’s and where’s that 25 years experience gives you. Having played everywhere in London we know the parking issues, the “get ins” the acoustics of the rooms, what gear to bring. All those little issues that trip up lesser experienced outfits. 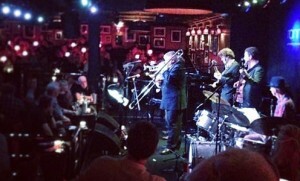 London Jazz Band Hire. New Years Eve up the Shard. The band entertains the party goers. 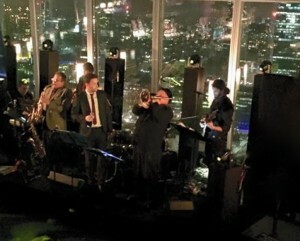 Our core band, the Mississippi Swamp Dogs has amongst its ranks highly skilled players who can adapt stylistically to an enormous range of situations ranging from a Charity Ball, a Wedding party or reception, a Corporate Hospitality or Corporate Event day, an International Jazz Club, a Club Party night, an intimate supper club or even a demonstration march through the centre of London! 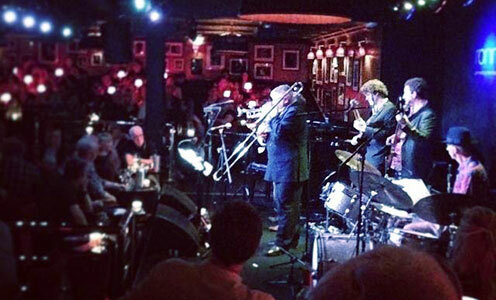 1.If you want to hire a jazz band in London at a price that won’t break the bank. 2. That will do everything in its power to make your event a success. 3. That will turn up on time. For more information contact us here. Home page is here at jazz band hire. F.A.Q’s. are here. Information on other services can be located here: Great Gatsby Jazz Band Hire, 1920’s jazz band hire, Prohibition jazz band hire, Jazz band hire Kent, Jazz band hire Brighton, Jazz Band Hire Oxford, Jazz band Henley, New Orleans Jazz Band hire, New Orleans Funeral Jazz Band hire, Burlesque Band hire, Jazz Band Wedding Hire and Cruise ship band hire.